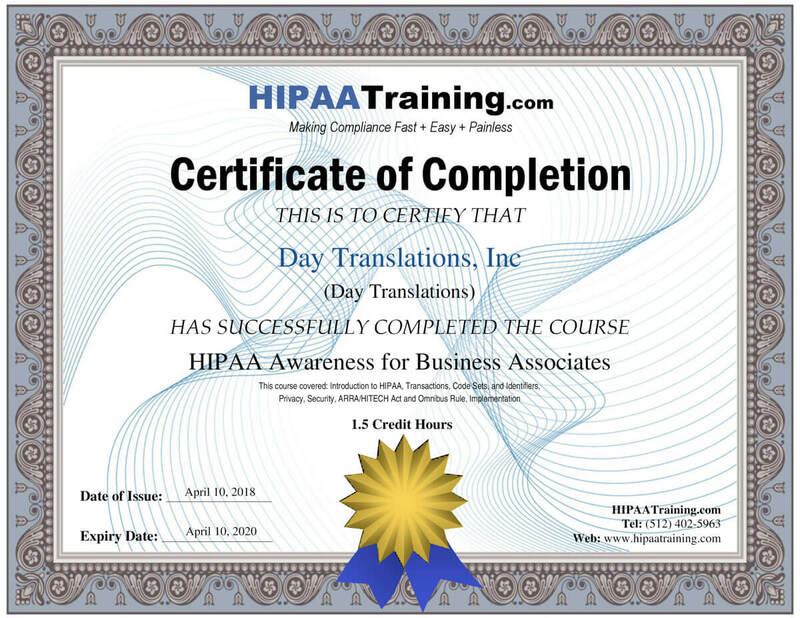 – Day Translations, Inc. promises to use protected health information (PHI) for the purposes of translation or transcription only, as stipulated in our business associate contract with covered entity. – Day Translations, Inc. will not use or disclose protected health information (PHI), as required by law. – Day Translations, Inc. will use all appropriate safeguards to prevent use or disclosure of protected health information (PHI) either by accident, or with reasonable cause. – Day Translations, Inc. has the appropriate administrative, physical and technical safeguards in place (including written documents) to ensure the confidentiality, integrity and availability of all electronic PHI we receive. 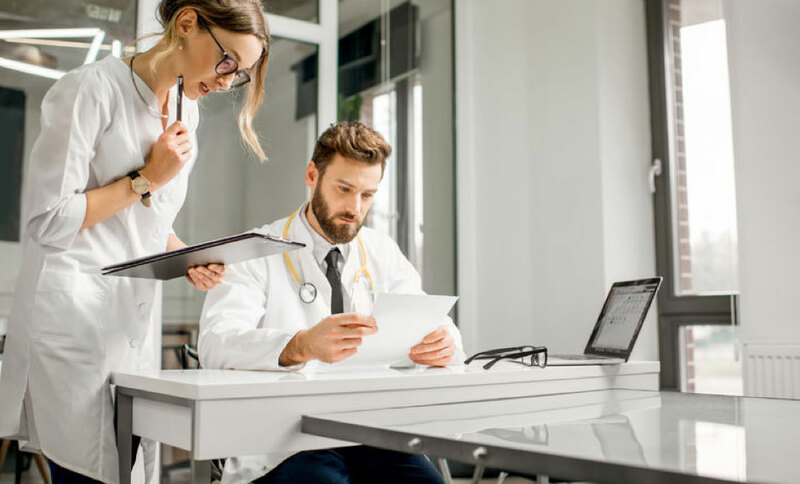 – Day Translations, Inc. has the appropriate procedures in place to apply corrective action, should any violation of the HIPAA requirements occur, either accidentally or with reasonable cause. – Day Translations, Inc. will immediately report to clients any disclosure of PHI, as soon as it comes to our knowledge, as per our client agreement. – All Day Translations, Inc. translators are requested to sign a non-disclosure contract and are aware of the legal repercussions should any disclosure of PHI occur. Day Translations, Inc. has implemented administrative safeguards to provide for the appropriate assignment of access permissions to the appropriate person. Information security awareness training is provided to all staff members, and the appropriate contracts are in put in place between the covered entity and Day Translations, Inc.
Day Translations, Inc. office locations and data centers are physically secure. Access to the buildings is controlled by card access at each level, preventing walk-in intrusion, especially after hours. The appropriate measures are in place to protect all office locations, as thoroughly as possible, from fire, flood, or theft and any other preventable or foreseeable natural disaster.